KRP Wide Handle Bars are the most trusted & famous handle bars in the country. Made & designed after rigrous testing in various rallies, races & road use. 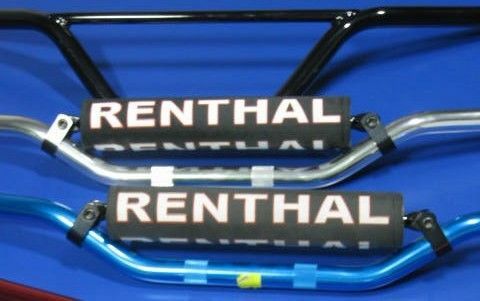 These Performance Handle Bars are very durable and comfortable for road & rally use. After the launch in 1991, they are the best handle bars ever made consdering the design, strength & comfort while usng. Trusted & used by hundreds of bkers, this is the #1 Choce. These Performance Aluminium Handle Bars are top quality, very durable, light weight and very comfortable for road & rally use. They are available various colours. Taper Pro Handle Bar Crash Protectors are one of the best aftermarket crash protectors available in the market. They have been designed, tested & manufactured specially for the end use. Highly recommended for the use. Scoyco Handle Bar Crash Protectors are good crash protectors as far their pricing goes but cannot be campaired with the top ones. They are good for the use in everyday & rallyies.